Munich - 1. FC Nuremberg are looking to stop the rot of a four-game losing streak when they play host to fellow strugglers FC Augsburg in a north-south Bavarian duel on Sunday. Nuremberg have never before lost five times in a row under Dieter Hecking and the 48-year-old head coach as no inclination of experiencing that particular first in what will be his 150th game in charge of der Club. "A win would give the team the confidence they need," Hecking noted, while acknowledging the visitors' quality: "FC Augsburg are a very disciplined side and have players like [forward Stephan] Hain in good form." Nuremberg lost 3-0 in Freiburg before the international break and Hecking was none too pleased with his side's defending. This time around, he expects more cohesion and altogether "more focus at the back." 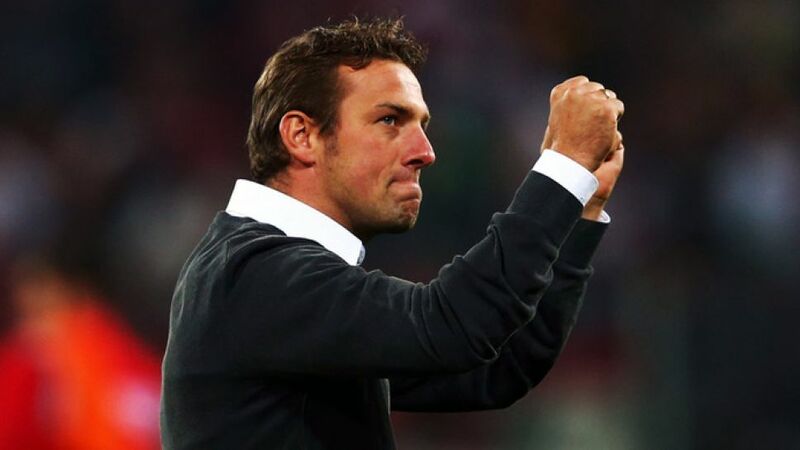 Augsburg coach Markus Weinzierl by contrast is very happy about the positive atmosphere that has developed with FCA taking four of their five points to date in the last two matches, earning their first win this season on Matchday 7 against Werder Bremen (3-1). "We've gained confidence and aim to continue the trend," Weinzierl says. Victory at Nuremberg would take them a point above their hosts and also incidentally be Augsbrg's first success against FCN in almost 36 years. "We'll do everything we can to achieve it and become the second-top Bavarian side in the table," Weinzierl vows. What pleases him the most is the way Augsburg's attacking game has improved in recent weeks. "We proved against Bremen that we can also play offensively, and we'll be trying to maintain that", the 37-year-old says, while acknowledging, "We have to put in the same kind of legwork we did in the previous matches." Augsburg's regular goalkeeper Simon Jentzsch has resumed training after a month on the sidelines with an injured finger. Weinzierl had opted however to leave Mohamed Amsif between the sticks for the time being. Jan Moravek and Sascha Mölders are the only Augsburg players likely to miss Sunday's encounter at the easycreadit-Stadion, while Swiss central defender Timm Klose is doubtful for Nuremberg.